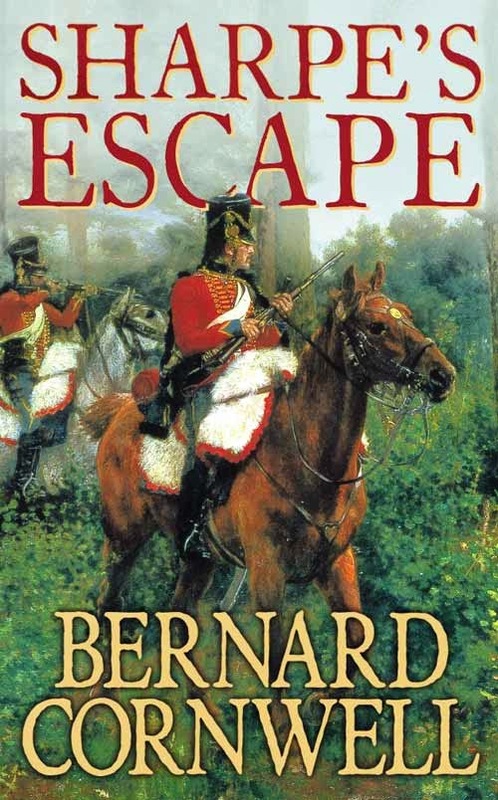 In this Richard Sharpe novel, Rifleman Matthew Dodd, a member of Sharpe's South Essex Light Regiment Company, Rifleman Matthew Dodd, is separated from the regiment at the Battle of Bussaco. Author Bernard Cornwell has confirmed that this is the same Matthew Dodd who appears as the title character of C.S. Forester's novel Death to the French. There are other crossovers involving Sharpe as well. In the TV movie Sharpe's Justice, Sharpe meets Captain George Wickham of the Yorkshire Militia, who chronologically must be the son of George Wickham and Lydia Bennet from Jane Austen's Pride and Prejudice. Also, in the book Sharpe's Tiger, Sharpe steals the supposedly cursed diamond known as the Moonstone (from Wilkie Collins' novel of the same name) from Tippoo Sultan. Patrick Lassan, one of the protagonist of Cornwell's Starbuck Chronicles series, is Sharpe's son. Finally, Sharpe has a cameo in Simon Scarrow's The Fields of Death (which I have yet to read and write up, but plan to eventually), part of Scarrow's Revolution Quartet, four books which portray the French Revolution and the Napoleonic Wars from the point of view of the future Duke of Wellington and Napoleon Bonaparte. In The Fields of Death, Sharpe is only referred to as Richard.